Combining sweeping exterior styling with innovative technology and a sporty ride, the Chevrolet Cruze is a superb option whether you're looking for a car that will provide you with a fun commute or is perfect for weekend getaways. 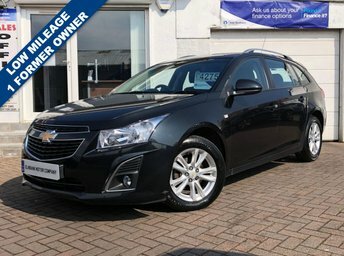 Start your search by checking out the complete range of used Chevrolet Cruze models for sale in Ayr on our website. Here at Elmbank Motor Co we're renowned for stocking a great selection of quality used cars, with models available to suit every budget. You can also get in contact with a member of our showroom team if you'd like more information on any of the vehicles listed.